An increase in the state's portion of the property tax to fund schools is hitting many taxpayers hard in Western Washington. This year is shaping up to be more difficult than recent years for the “bearer of bad news” job of county assessor. That’s because residents across the state are getting hit with an unusually large property-tax increase, largely driven by a state property-tax hike approved by the Legislature last year. County-assessor offices far and wide say they are ready for your questions as bills begin reaching property owners this week. King County Assessor John Arthur Wilson said he has been speaking to more realtors, senior centers and business, labor and community groups than he has in the past to educate as many people as possible about the changes. 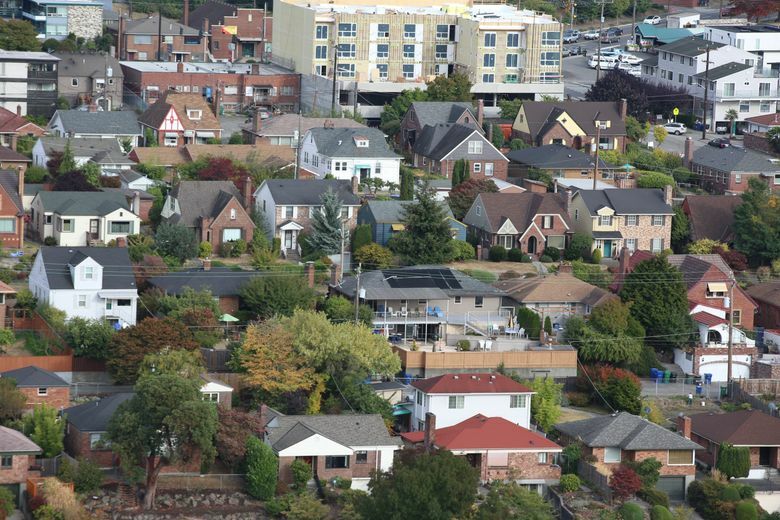 How will the property-tax increase in Western Washington impact you? “I feel like Paul Revere,” Wilson said. Wilson isn’t alone. Phil Cook, Kitsap County’s assessor, has been hitting the speaking circuit harder than in years past, giving presentations to 22 groups, including chambers of commerce, service clubs and landlord associations. The increase in speaking engagements is also happening in Pierce and Snohomish counties. Linda Hjelle, Snohomish County assessor, says she doubled her outreach efforts this year. “I really felt it was important that people understood the impact as soon as possible,” she said. The impact is real. In addition to the higher state property tax, many cities and counties have passed various levies that have added to the increase. King County on average is seeing a nearly 17 percent property-tax increase, Snohomish County a 16 percent jump, Kitsap County 12 percent and Pierce County 11.5 percent. Those increases are sure to get the attention of homeowners. The owner of a median-valued home in Seattle ($597,000) will pay about $825 more than the owner of a median-valued home last year. Across the lake in Bellevue, the owner of a median-valued home ($791,000) will pay $1,300 more than the owner of a median-valued home last year. Property taxes are jumping sharply this year after the Legislature came up with a plan to pay for the Washington Supreme Court’s McCleary decision from 2012, when the court ruled the state wasn’t adequately funding public education. The result, after years of haggling, was about a $1 increase on every $1,000 of assessed valuation to pay for the required school funding. The state’s county assessors have been pushing legislators to provide relief to those most vulnerable to increases. A bill in the Washington state House would allow counties and cities to extend exemptions from any portion of a property tax impacted by a levy-lid lift to senior citizens, people with disabilities and veterans. Presently, there are some relief programs available for those who qualify for assistance. Being ready for public blow back is nothing new for an assessor’s office. Cook said his office is prepared to answer questions from the public even in a year where increases are minor. “Every year when tax bills go out we hear about it,” he said. What Cook did differently this year, in addition to more speaking engagements, was to offer scripted answers for other county departments that might get phone calls. If callers aren’t satisfied or want more details, they will be transferred to the assessor’s office, where he and his staff are prepared to talk in detail about the reasons behind this year’s jump. Assessor offices in Snohomish, King and Pierce counties also prepared staffers to address questions related to the increase and the Legislature’s response to the McCleary decision. Cook’s office is providing people who contact them with the numbers for Kitsap County legislators. Both Kitsap and Pierce counties made videos posted to their websites explaining the 2018 property-tax increase. The counties have upped the number of press releases they send out and are issuing envelope stuffers explaining the changes to go out with the bills. Mike Lonergan, assessor-treasurer for Pierce County, said the attention property taxes are getting is a chance to educate people about what their taxes pay for and why they are changing. All this outreach effort might not be enough for people suddenly paying hundreds of dollars more this year in an expensive region. But it is important for governments to try, Cook said. “They may still be upset, but at least they understand what is coming. That way it isn’t a surprise when they get their bill later this week,” he said.